We’d love your help. Let us know what’s wrong with this preview of NeuroTribes by Steve Silberman. To ask other readers questions about NeuroTribes, please sign up. Is it really useful to make others believe in the power of neurodiversity? Sarah I think all human beings have value, period. No one deserves to be abused or dehumanized. If Silberman (like Asperger before him) sometimes…moreI think all human beings have value, period. No one deserves to be abused or dehumanized. If Silberman (like Asperger before him) sometimes overemphasizes our contributions to art and science, it's because he knows how much hate, and greed, and fear-mongering are (still) out there. I'm not a tech genius, but I'm glad to have autistic role models. I'm glad to see children given a chance. I'm glad to see parents who truly love and accept their children for who they are (not hurting and shaming them for who they aren't) and who respect the input of autistic adults. It seems to me that autism and Asperger's are synonymous in the minds of so many that a very broad section of the spectrum is many times ignored (e.g. those that cannot communicate and have no prospects in life because of the severity). Can anyone tell me if this book covers the entire spectrum? Finished. Very long review. Apologies. Skip to paragraph 3 ** for a horror story. The book was hard to rate. Some of it is as bad as a 1-star: excreble writing when he's giving far too much detail about the irrelevant (to the book) discoveries of the 18thC scientist Henry Cavendish whom he confidently diagnoses as Aspergers. 3 stars for most of it where the research is general too narrowly focused on too few people but quite in depth for them and 5 stars for giving away such appalling things as Finished. Very long review. Apologies. Skip to paragraph 3 ** for a horror story. The book was hard to rate. Some of it is as bad as a 1-star: excreble writing when he's giving far too much detail about the irrelevant (to the book) discoveries of the 18thC scientist Henry Cavendish whom he confidently diagnoses as Aspergers. 3 stars for most of it where the research is general too narrowly focused on too few people but quite in depth for them and 5 stars for giving away such appalling things as the typo in DSM III. People forget that DSM is a for-profit company. It made $10M on DSM III. It had 25 committees of people searching for evidence of at least 25 different symptoms of autism. They were well paid as professionals. They consulted all kinds of people from teachers to those therapists qualified by attendance at a day's seminar in some hotel ballroom. In other words, everyone involved had a pecuniary interest in diagnosing autism in as broad a way as possible. ** But to the terrible typo. For those who might be autistic or have aspergers or might not but definitely seemed to have something, there was always PDD-NOS. The intention was that children being diagnosed would have a certain number of symptoms from list A, from list B and list C. However, instead of 'and' the word 'or' was substituted. The author reckons that 75% of all children diagnosed with PDD-NOS didn't in fact have anything. Hans Asperger said, a long time ago and his words have been nearly forgotten, trampled on and now totally ignored, not to pathologise eccentricities! Just because someone is weird doesn't make them mental! Forget that, they're all on the spectrum now. I was going to write a long and well-argued (hopefully) review of the book and of own my own opinion that Aspergers and Autism are not related at all. But I'll keep that for another time and stick to reviewing the book (view spoiler)[in as much as I ever stick to the point (hide spoiler)]. I do think that a lot of children so diagnosed don't have autism at all and grow out of it (or according to many therapists are 'cured') in much the same way that 90% or more of the kiddies put on Ritalin turned out to be normal adults. The incidence of ADHD in America in children is higher than anywhere else in the world. But the figures for adults are more or less the same in all the countries of the West. By all evidence that I've seen and read, Aspergers is most often just a personality type, that is unless you want to diagnose almost the entirety of Silicon Valley and perhaps computer people in general with having it. Would we even be so advanced in electronics without these people? In any case, quite a few of the 'symptoms' of Aspergers are common to Prosopagnosia or face-blindness (I have it so I know) which is only just being recognised and most people with it just think they are bad at remembering people, but there is more to it than that. If a child has hobbies he is really into, he's encouraged and parents' say things like, 'the way he's always taking apart things, you could see he's going to be an engineer'. If a child would rather just play with one good friend, then that friend gets invited over more for tea and parents' say he's a bit of a loner. If the child is really good at maths, parents praise him. But once he has a diagnosis of autism, suddenly he's not got a hobby he's mad keen on, no that's perseveration, his kind of sociability is now inability to communicate, his ability with maths is an unhealthy autistic obsession. And so it goes... It's a self-fulfilling diagnosis. So overall, it's quite a good book on the history of the diagnosis of Austism and relatively recently, Aspergers. But it isn't really about Neurotribes at all. A final thought. If we stopped thinking of neurotypical people as normal but thought of them as the most common personality type, or the most usual, then those who were different would not be abnormal, but unusual, rare or even, as say A+ is in the world of blood groups, just uncommon. There would still be those who were definitely abnormal, Autism wouldn't go away, but people who are different wouldn't be labelled and if there were enough of them in each group, might get special ed. As in - a group of nerdy loners that don't like playing games in the playground, could be taught together in their favourite academic subjects and everyone would be a winner. Teachers, children and society. In any case it's better than making them depressed and feeling bad about not fitting in by labelling them abnormal. Notes on reading the book(view spoiler)[ Even though the author was intent on including own evidence to support that, there were enough signs when hUpdate It's getting better. I'm on to Vienna and Asperger. The problem I have with the book is I think Aspergers is a) misdiagnosed most of the time and b) it isn't related to Autism at all and all I'm reading is the conventional viewpoint and absolute disdain for unconventional therapies which I more or less share. The author writes well but it does seem to be confirmation bias all the way through. He has an agenda and includes only that which fits into it. An interesting point. Firstly that Sweden removed the mercury preservative from it's vaccines back in 1987 and Japan banned the MMR altogether. Their rate of autism is on a par with other countries using the same diagnostic criteria, it hasn't dropped. The vaccine thing was proved to be a hoax and Wakefield a charlatan. He was actually employed to prove that the vaccine caused damage and had produced his own vaccine to sell in place of the 'damaging' one, but still the myths linger on. Is it because autism is generally diagnosed at age 2, past the age of vaccines, and the parents must have someone or something to blame? This started off well and then meandered into a very long biography of the very famous and quite asocial 18thC scientist Henry Cavendish The detail with which the author went into some of Cavendish's experiments was not only irrelevant but boring, which is worse in a book. Quick story from when I worked at Google: James Watson, the co-discoverer of DNA, was speaking at a Google event. He talked about a wide variety of topics on genetics, and I remember he lumped in autism and Aspergers with some other genetic disorders. At the Q&A period after his talk, several developers took the microphone, identified themselves as having Aspergers, and gave him an earful about how they were glad that they had Aspergers because it made them better developers, gave them a unique perspective on life, and that they really didn’t appreciate him looking for a cure thank you very much. My reactions were 1. C’mon guys, this is the co-discoverer of DNA. Show some respect. 2. Wow, I guess the stereotype is true. Eight years later, my views on autism are somewhat more nuanced. And in the meantime Dr. Watson has had to auction off his Nobel prize to supplement lost income after some very unfortunate comments about the people of Africa. Neurotribes is a very important book, albeit a thick one. Don’t let the 500 pages plus notes and index scare you. It is extremely readable, and I finished it in less than a week. I don’t know if it will become the “it” book of popular science this fall, but it certainly deserves to. That there are so many controversies swirling around autism, diagnosing it, what causes it, whether we should focus on what causes it, etc., and that there is a bunch of stigma in general around autism, is why this book is so needed. And it is very even handed, almost frustratingly so. I saw one reviewer who was very upset that Jenny McCarthy was mentioned without being immediately condemned. And she wanted Jim Carrey condemned too for good measure. Instead, Mr. Silberman patiently moves through the history of autism, starting in Vienna (Asperger), moving to Baltimore (Kanner), then Southern California (Rimland and Lovaas), then over to England (Lorna Wing). The pieces start to fit together. You start to get something more valuable than the satisfaction of having the other side condemned: historical context. So if someone tells you that there is an epidemic of autism, you can point them to this book or Mr. Silberman’s TED talk. Or you can just net it out for them like this: To help kids get services they needed, diagnostic criteria was widened. At the same time standardized diagnostic tools became available for the first time. As these changes filtered through the psychiatric community, the number of diagnoses increased. As far as can be determined, the number of autistic people — kids and adults — has remained fairly constant. And if someone tells you that vaccines cause autism, point them to this book or TED talk too. Optionally box their ears. That part is up to you. Mr. Silberman wisely shows this effect in action with a highly educated Bay Area couple that go through several stages on their journey in raising their autistic son with various stops including being against vaccines, megadoses of multivitamins, ABA therapy, and even considering intravenous chelation. I get it now. Walk a mile in their shoes before you judge, or Jenny McCarthy’s, dangerous though she may be. It’s much harder to be sympathetic to the medical establishment, especially the Freudians, whose insights always sound like the worst writer in an a short story workshop. But it’s the Behaviorists who win the One Flew Over The Cuckoo’s Nest prize hands down. Dante’s pope-feet burning-thingie is awaiting you, Dr. Lovaas. It turns out that groups of parents are much more effective at advocacy than medicine. And that’s where the story ticks upward towards hope. Groups are formed. Laws are passed. Services are provided. Again, with the benefit of historical context, I know that eventually a major schism forms with one group focusing on advocacy and another focusing on a cure. The latter is important to understand to be sure, but let’s leave that to the scientists. The parts of the book about advocacy are really interesting to me because I know how hard it is to get accommodations, even in a supposedly good school system. It gets even more interesting when autistic people find each other through newsletters then the Internet and start advocating for themselves and the concept of neurodiversity, which brings us to the Google developers who so confidently questioned a famous scientist. Maybe the neurotypicals are really the problem here, taking the autistic world’s scientific breakthroughs and life-changing applications for granted. Let's face it. We live in a world where a scientific team lands a space probe on a comet going through space at 55kmph, and most of the news coverage is about the damn shirt the lead scientist wore. And just this week a kid brings a pencil box full of wires and electronics into his school in hopes of starting an engineering club, obliviously shows it to a teacher, and winds up handcuffed by five police officers “for his protection.” It’s like the X-men, but with superpowers that we can only guess at. Highest recommendation, especially for parents. It’s estimated that there are roughly as many autistic people as Jews. And don’t get hung up on high- or low-functioning. You don’t know what’s going on inside. Mr. Silberman is a wonderful writer, and his prose goes down easy, but Gibbon is even better and to date I haven’t been able to get anyone to read Decline and Fall of the Roman Empire. I received this book through the LibraryThing Early Reviewers Program, and I'm very glad I did. As the mother of an autistic child, the subject matter of autism is very personal for me. NeuroTribes was educational and affirming. I was genuinely astonished at how enjoyable the book was, long-winded though it is at times (my early reviewer copy is just under 500 pages). Silberman writes about subjects that are horrible, but they are necessary matters to address: Hans Asperger's insights made withi I received this book through the LibraryThing Early Reviewers Program, and I'm very glad I did. As the mother of an autistic child, the subject matter of autism is very personal for me. NeuroTribes was educational and affirming. I was genuinely astonished at how enjoyable the book was, long-winded though it is at times (my early reviewer copy is just under 500 pages). Silberman writes about subjects that are horrible, but they are necessary matters to address: Hans Asperger's insights made within the context of Nazi-controlled Austria, the institutionalization of children (often labeled imbeciles and/or schizoid), and the abusive nature of many "therapies" in the past fifty years, up to the present day. There's also the vital topic of the vaccines-cause-autism debacle, which he saves for near the end. However, the book is not all grim and dire. There's wonderful brightness through the middle of the book as he addresses the importance of science fiction, fandom, and the internet within the autistic community. There is even a section on the movie Rain Man and how that changed public perception. The end of the book is extremely positive as it shows how autistics are now empowered, and that many of them are fully capable of finding their own place in the world. I love Silberman's approach to this. Honestly, I cheered aloud. I have really been appalled by the stance of Autism Speaks and the emphasis on finding a source or cure for autism, rather than on how to serve the kids AND adults who need help now. The overall message of the book is that there is no autism epidemic. Autism has always existed. That different manner of thought has been essential to our survival as a species. Only now, it is diagnosed in a very specific way, and autistics are not hidden from society. NeuroTribes: The Legacy of Autism and How to Think Smarter About People Who Think Differently by Steve Silberman provides a comprehensive (and very moving) history of autism from its original diagnostic criteria by Leo Kanner and Hans Asperger to parent-run organizations up to today's self-advocacy groups, in which people with autism are speaking for themselves and advocating for a focus on services not cures. At first, I was overwhelmed by the amount of detail Silberman gives. It seemed as thoug NeuroTribes: The Legacy of Autism and How to Think Smarter About People Who Think Differently by Steve Silberman provides a comprehensive (and very moving) history of autism from its original diagnostic criteria by Leo Kanner and Hans Asperger to parent-run organizations up to today's self-advocacy groups, in which people with autism are speaking for themselves and advocating for a focus on services not cures. At first, I was overwhelmed by the amount of detail Silberman gives. It seemed as though what could be summed up in a couple of paragraph was explored for pages. As I got deeper into the book, however, I came to appreciate Silberman's approach which provides not only a generalized overview of the topic but depth as well. The stories of the labeling mothers as "refrigerator mothers," the narrowness and lack of scientific validity of the diagnostic process as well as the sometimes amazing efforts on the part of clinicians such as Asperger as well as family's to appreciate the child's (and as time went on, the adult's) strengths as well as difficulties became much more satisfying than a mere outline of the history would have been. By the time Silberman's book approaches its end, the focus has shifted from autism as a childhood tragedy to a more comprehensive view of autism as a spectrum condition that is not only about children but adults as well. The neurodiversity movement calls for society to change, not only to "fix" the autistic person (although certainly to help address needs) but also to appreciate the person's strength's and perspectives and the skills that a different perspective can bring to the table of society. Silberman's book moved me to anger and to tears and (occasionally) to laughter. The conclusion of the book, with its call for respect and accommodation to a variety of ways of processing the world, left me wanting to cheer. I thank Steve Silberman for his beautiful work and (in the interest of full disclosure) LibraryThing for giving me this book as a part of its Early Reviewers' program. My opinions are my own. I strongly recommend this book for anyone interested in autism, the disability rights' movement, or simply in the potential of all people to contribute to community and how everyone benefits from a policy of inclusion. In fact, I would recommend this book especially to people who have not given much thought to the subject. The implications of a shift in society's attitude would impact all of us positively. This is a fascinating book about autism. The first part of the book focuses on the history of research into the syndrome. It describes how early researchers tried to formulate the causes of autism, including the pitifully sidetracked idea that cold parents are responsible for the syndrome. The book gives brief biographies of a few historical figures, including Henry Cavendish, Steve Jobs, Nikola Tesla and Mozart who are suspected of being autistic. Just try Googling "famous autistic people in hi This is a fascinating book about autism. The first part of the book focuses on the history of research into the syndrome. It describes how early researchers tried to formulate the causes of autism, including the pitifully sidetracked idea that cold parents are responsible for the syndrome. The book gives brief biographies of a few historical figures, including Henry Cavendish, Steve Jobs, Nikola Tesla and Mozart who are suspected of being autistic. Just try Googling "famous autistic people in history" and you will find an amazing list of inspiring historical figures who were probably autistic. Our consciousness of autism was heightened immeasurably by the movie "Rain Man", starring Dustin Hoffman and Tom Cruise. After this movie was shown, people everywhere became aware of autism. However, the movie portrays a man who is at one end of the autistic spectrum, who could not possibly live independently. But the autism spectrum encompasses a broad range of capabilities, and high-end functioning autistic people are able to get along just fine. In some cases, being autistic can assist one professionally. I think first and foremost about Professor Temple Grandin, who realized that her autism helped her to understand animal behavior. She was better able to design and engineer equipment for handling animals because of her unique insights. She has written several books (such as Thinking in Pictures, Expanded Edition and Animals in Translation: Using the Mysteries of Autism to Decode Animal Behavior) and was celebrated in the terrific movie made about her. The latter part of the book is about the controversies between those who think of autism as a disability, and those who think of autism as simply a different way of thinking and living. This is where the book becomes most interesting. The book also discusses why autism seems to be diagnosed more frequently now than in the past; this is largely due to the enlarging scope of its definition in the psychiatric literature. Alfred Haplo I kind of see "different" as a broad umbrella, with ability as a subset of that umbrella, and the degree of disability as a sub-subset of ability. I g I kind of see "different" as a broad umbrella, with ability as a subset of that umbrella, and the degree of disability as a sub-subset of ability. I guess whatever we call it, neuro-diverse or neuro-"discrete" (for lack of better term! ), it doesn't change the fact that some people function independently just fine and others need more support. This book's message seems to be that people who are on the spectrum like Temple Grandin* can be successful because they bring alternative perspectives, and that those who are not on the spectrum ought to re-think autism as not a disability but just another form of ability. Perhaps my reservation with this book is that while it's wonderful to highlight accomplished individuals on the spectrum, it would be misleading to think that all individuals on the spectrum have the capability to be successful and independent and innovative and so forth like the Temple Grandins of the world, who represent a small segment of the ASD population. A larger segment of the ASD population is mid to low functioning, who will never be able to live independently, or be articulate in talks, or publish books, or contribute to society economically, or be inventive of new equipment and concepts etc. Would society still be open-minded and inclusive enough to consider this less "glamorous" group as neuro-diverse and make the necessary accommodations for their employment, social welfare, medical assistance etc? I do hope the book addresses this. Thanks to Penguin House/Avery via NetGalley for providing me with a free copy of this book in exchange for an honest review. I admit that I was excited, really excited, when I heard about this book. After reading all 544 pages, I found myself more than a little let down. I was expecting to read about new research, treatment/therapy options, and ways for families to support one another and the autistic person they help care for. The book was largely about the history of autism and ASD morphing into the clinical diagnosis and diagnostic criteria we know today. The history was just dry. Lots of people (clinicians, parents, advocates, etc.) discussed, sometimes too many at one time. Though the Nazi experimentations and eugenics histories were appropriately horrifying, I'd read about them before. I was really hoping for new news. Though there were some histories of persons and families that I could connect to, I didn't feel as though I had really learned anything after reading this book. Yes, many people in the past (and present, I'm sure) have been misdiagnosed and overlooked which (at least perhaps partially) accounts for more recent diagnostic spikes. Yes, people with ASD are making and have made amazing contributions in our society. Especially in the areas of technology and the arts. Yes, we should focus more time, money, and energy on identifying services helpful to individuals and families and making them accessible to all. Again, this is just not new news. 'NeuroTribes' is a well-written, deeply-researched book of history which describes the centuries of effort that has gone into developing a psychological outline of autism (still incomplete). The author, Steve Silberman, includes short biographies of likely autistic-spectrum scientists as well. In telling the story of discovery about autism and about people with autism, he also shows us readers how psychological research is generally done and that it is in its infancy. He gives valid arguments an 'NeuroTribes' is a well-written, deeply-researched book of history which describes the centuries of effort that has gone into developing a psychological outline of autism (still incomplete). The author, Steve Silberman, includes short biographies of likely autistic-spectrum scientists as well. In telling the story of discovery about autism and about people with autism, he also shows us readers how psychological research is generally done and that it is in its infancy. He gives valid arguments and examples for psychological research and treatment today to be made an inclusive ongoing collaboration of professionals and laymen. The middle sections of the book, which are a devastating history of the craziness to find a cure for autism (none available to date) more than amply satisfy me as to the validity of Silberman's argument for a research collaboration between professionals and non-professionals. I feel completely justified in saying people should use common sense AND try to figure out if a diagnosis matches actual facts AND read all of the studies which have been done with ALL of the established mainstream scientific method protocols and observations. If there is nothing but vague testimonials of success or only a single scientific study without any mainstream follow-ups that have replicated the initial results several times again over a period of years, walk away and keep looking. Sadly, many people incorrectly believe inoculations against childhood diseases cause autism despite many many many mainstream scientific studies debunking the single study which supposedly proved inoculations were causing autism. But people want to believe they can avoid autism in their kids if they avoid inoculations. Another sad example of the desperation and the urgent desire to find a cure, plus just plain rage against the universe, was the earlier diagnosis by a single professional of the idea 'refrigerator moms' caused autism, thus implying a cure was affection and love. Well, to me, this wild grasping at something or someone to blame shows the pain and despair of parents and investigators. It also shows the inability of everyone to face up to two obvious conclusions about autism today: 1. we can't currently cure it. 2. it is horrible. However, centuries of experimentation is showing that a variety of limited teaching techniques, time, experience, money, perseverance, patience and dutiful lifelong encouragement can improve the lives of people who are along the autism spectrum. On the other hand, the history of autism research also shows professional investigators studying psychological issues can cause devastation and destruction if they are careless or are forcing facts to match their feelings or if the investigator is a crackpot or charlatan. A college degree does not mean a person knows how to do research or that they are moral - it means simply they know enough to pass exams. The story of autism is a mixed bag of outcomes.The bad news is there is no cure. The good news is individuals with neurodiverse brain structures can be educated with uninterrupted maintenance of a low-emotional temperature in the room, genuine caring, teaching to the strengths of the individual, and listening to people in the autistic spectrum who have succeeded in becoming independent and successful in their chosen careers. A lot of patience, perseverance, money and access to a variety of other resources work. The issues not mentioned in the book are about the labor-intensive devotion one must endure and maintain for all of one's life if you choose to be always available for helping. It is a bit like being a mom of a toddler in some ways for the rest of your life, although the person you are helping may be an adult with many adult understandings. The author tells briefly without going into detail of families who do this supportive labor with a smile and love, strained though I am guessing it is. I know I do not possess this fortitude or strength myself. I recommend the book especially to anyone living with or around someone who we now are calling the neurodiverse universe, and also even if, gentle reader, you are simply curious particularly about autism or know someone with a differently wired brain issue. I am close to someone who is in the neurodiverse universe, and frankly, if given other options, I'd avoid being real closely involved with someone who is neurodiverse. Friendship and occasionally being there to help is awesome noble, but otherwise...omg, the lack of respite or rest! The lack of a cure! The complete abnormality of daily life! This is something which requires a lot of resources and time and commitment and sacrifice. No kidding. Causes, which at this point look to be a combination of inherited genes and environment, especially pollution, and even sometimes accidental injuries to the brain. Cures, which at this point, there are none. Modifying and improving the abilities and talents of the neurodiverse, mostly through special education techniques and acceptance; and palliative care at minimum if nothing else. Providing resources to the family supporting the neurodiverse. In the real world, gentle reader, we are failing to have any consistency whatsoever, in dealing with the neurodiverse. It is strictly hit and miss, off and on, a program here for awhile, a resource there for a time. So far, the book shows it is from parent organizations only where any consistency or progress is being made at organizing information and developing successful educational programs for autistic kids. The book makes it clear that inventive people who are somewhere in the high-functioning end of the autistic spectrum or have Asperger's or have whatever neurodiverse mental wiring which seems similar to autism symptoms (insert psychological label here - people are still arguing) are very likely the reason we live in the technological first-world paradise (mostly available to rich people and us less rich, at least those parts of technology which dribble down to us). This is definitely the half of the glass which is positive! However, it seems to me this is a childhood disability which requires intensive parenting and educational resources to even begin alleviating - and to be brutally honest, as a society we don't have those resources. The folks who are neurodiverse and who have been lucky to get access to both resources AND strong-minded, healthy parents (because, by the way, discoveries about autism and education/social integration methodologies have been driven by involved PARENTS, not the so-called psychiatric experts) are the ones who are written about in books such as this. In the real world, neuronormal people can barely keep their own lives moving forward because of minimal resources. As a history of autism and its diagnosis, treatment, and social acceptance, this is a solid book. Could have used some more editing (the author often provides way too much detail on various players' bios and historical background. For example there's a good 30 pages devoted to a summary of the Nazi occupation of Austria, which was only tangentially related to the topic). The blurbs on the jacket about it being "groundbreaking" and "radically alter[ing] the societal conversation" are hyperbolic at As a history of autism and its diagnosis, treatment, and social acceptance, this is a solid book. Could have used some more editing (the author often provides way too much detail on various players' bios and historical background. For example there's a good 30 pages devoted to a summary of the Nazi occupation of Austria, which was only tangentially related to the topic). This heartbreaking book came highly recommended. As an autistic adult with an autistic son I was sickened by the book, the therapies, the history. I thought of my own childhood and how grateful I am that I was born verbal and in an intact family that raised me, accepting me where I was and allowing me to do the best that I can. As a member of the autism community reading this book is like getting punched in the face over and over again, until you get to the last chapter about neurodiversity, whe This heartbreaking book came highly recommended. As an autistic adult with an autistic son I was sickened by the book, the therapies, the history. I thought of my own childhood and how grateful I am that I was born verbal and in an intact family that raised me, accepting me where I was and allowing me to do the best that I can. As a member of the autism community reading this book is like getting punched in the face over and over again, until you get to the last chapter about neurodiversity, where there is some hope. Again, I'm not sorry I read this book but it made me physically sick. Nice history about autism and Aspergers. Wished it had more general information and not just data about a few cases. A bit dragged on, but informative. Glad I listened to the audiobook. If you have any interest in autism or the history of psychiatry, this book is for you. I've taught toddlers and preschoolers for over 20 years and have had students with autism in my classes; some were diagnosed while in my class while others were diagnosed later. I remember my team and I fighting to get one particular boy diagnosed and provided with services who was clearly Asperger's while another was later diagnosed and we went, "Oh, that explains a lot." The information has changed a lot ove If you have any interest in autism or the history of psychiatry, this book is for you. I've taught toddlers and preschoolers for over 20 years and have had students with autism in my classes; some were diagnosed while in my class while others were diagnosed later. I remember my team and I fighting to get one particular boy diagnosed and provided with services who was clearly Asperger's while another was later diagnosed and we went, "Oh, that explains a lot." The information has changed a lot over the years and it's hard to keep up with the current thinking. This book provides a detailed, thorough look at the history of autism, its permutations as well as the permutations of the definition of autism. Put me firmly in the camp, where the author also seems to be, that there isn't an epidemic of autism. What's changed is the definition and diagnosis for autism, from a strict, highly limited and rigid definition to a broader, more accommodating definition. As well, there's the fascinating, and to me highly likely, hypothesis that autism, especially certain forms of it, are just part of the normal continuum and one that veers to genius level at times. Maybe instead of 'fixing' autistics, and oh, there are some heartbreaking stories, we need to be focused on how to adjust the world to include them. Many inventors and some geniuses were autistic and Silberman, along with doctors and experts before him, posit that without those autistic gifts, the inventors and geniuses wouldn't have been capable of their achievements. "NeuroTribes" is full of fascinating information, history, and theories. I read it on my Kindle and highlighted so much of the book, I may not be able to find what I'm looking for. At times, the history dragged on, there could have been less detail, but overall I was impressed with Silberman's thoroughness and I learned so much. I'll definitely recommend this to my co-workers and the administration where I teach. The author did get judgmental at times, especially in regard to Dr. Kanner, whom he really disliked. Still, the detail is exhaustive and I can imagine, after all the research Silberman did and the people he talked to, that it would have been difficult not to have an opinion. Silberman didn't forget to talk to the people most directly affected by autism - the autistics and their families. We see how they are not so different in some respects - they fall in love, hold down jobs, are creative, etc. It wasn't too long ago that the medical establishment claimed none of that was possible for people diagnosed with autism. Heck, it was believed that only children were autistic, not adults. In recent years, adult autistics have begun to reclaim the autism movement, advocating for less time and money spent on 'cures' for 'fixing' them and for more spent on services helping them to cope and to function in our society as well as helping society to cope and to include people of diverse neurology. I'd have liked more time spent on the whole concept of neurodiversity and how other neurological and cognitive conditions such as ADHD and dyslexia tie in. The whole concept of neurodiversity fascinates me and I will need to hunt up more information about it. I teach an age group that is pliable and open to being molded and helped. What can I do as teacher do to help and just as importantly, what should I not do? I read this book a couple of months ago, but only got around to reviewing it now. As a parent of multiple kids with autism I had been very eager to get hold of copy, especially as from the reviews I had read it seemed the author must have read my mind before he set out to read the book. The premise that autism has always been with us, that vaccines do not cause autism, there is no epidemic and that the rise in the number of diagnoses is a direct result of changes in diagnostic criteria, is one I I read this book a couple of months ago, but only got around to reviewing it now. As a parent of multiple kids with autism I had been very eager to get hold of copy, especially as from the reviews I had read it seemed the author must have read my mind before he set out to read the book. The premise that autism has always been with us, that vaccines do not cause autism, there is no epidemic and that the rise in the number of diagnoses is a direct result of changes in diagnostic criteria, is one I already held. I read the book very quickly and after the first few chapters I was enthralled and was recommending the book to all I knew. However, by the time I got to the end of the book my opinion had changed. I still like the book, I still recommend the book, but with a caveat. I am the mother of four kids with autism. They range in severity from 'mild/level 1' (ie formerly Asperger's Syndrome) to 'severe, level 3'. I felt that the book started by giving an idea of range of autism from severe to mild and that severe cases were often mislabeled as ID and that mild cases were overlooked entirely. I also began to dislike the undertones in the book that suggested autism=great because look how useful high functioning/mildly autistic/Asperger's types can be! As the book went on I felt the author's focus left the ID and autistic or purely severely autistic kids and adults behind. The focus was on how people with high functioning autism can thrive and lead successful industries and so forth. That's a useful story to tell, but I felt it was interesting that the author began by seemingly bringing autism out of the shadows of history only to hide the lowest functioning members behind the shadows of the high functioning members of the community. They simply disappeared from his narrative. What happens to ID autistic adults in the modern world? Where do they live? Where does the low functioning teenager live? What happens to the 'mild' adults who regress or so forth? As someone interested in autism, its theories and its future, after reading some reviews of this book, I was hoping this would be a good, comprehensive introduction to the details of the subject. Instead, it was a long-winded, yet surface level history that could have been much deeper had the author not tried to shoehorn traditional narratives into a nontraditional story. The books started out great, talking about various historical figures that would likely have been diagnosed with autism today. As someone interested in autism, its theories and its future, after reading some reviews of this book, I was hoping this would be a good, comprehensive introduction to the details of the subject. Instead, it was a long-winded, yet surface level history that could have been much deeper had the author not tried to shoehorn traditional narratives into a nontraditional story. The books started out great, talking about various historical figures that would likely have been diagnosed with autism today. In these wonderfully-written chapters, the author makes no grand conclusions, but provides the facts in a compelling narrative that points in a direction ... aka good writing. After that, the book gets clumsier and more questionable. The discussions of Hans Asperger are nice, but border on annointing Asperger as a saint that completely predicted all forms of autism. A positive depiction of Asperger is certainly justified, but this section was saccharine in its sweetness towards the subject. The worst offense, however, was the long-winded and clumsy attempt at creating an antagonist out of Leo Kanner. The book portrays Kanner as a swindler, a Doctor that had no business being a serious player in child psychology, and someone who knowingly, maybe even maliciously, ignored Hans Asperger's writings on the "normal" side of the autistic spectrum to promote his own career. Of course, the reader comes with the benefit of hindsight, which makes the demonization very unfair. The book also starts diagnosing people as on the autistic spectrum with little or no knowledge of their actual behaviors, treating autism seemingly as a personality trait indistinguishable from nerdiness. When talking about the birth of comic books and amateur radio operators, the book spontaneously diagnoses the entire readership of a trade magazine as autistic, dubbing them "Asperger's Army." This book provides a thorough account of the troubled history of the psychiatric understanding of Autism Spectrum Disorder (this includes Asperger's syndrome). Unfortunately, most of this history in hindsight was incredibly blind to what now seems apparent as to the nature of the condition. Consequently, this long book spends most of its historical account describing what is now understood to be incorrect and spurious theories and treatments. The reader who makes it all the way through the book This book provides a thorough account of the troubled history of the psychiatric understanding of Autism Spectrum Disorder (this includes Asperger's syndrome). Unfortunately, most of this history in hindsight was incredibly blind to what now seems apparent as to the nature of the condition. Consequently, this long book spends most of its historical account describing what is now understood to be incorrect and spurious theories and treatments. The reader who makes it all the way through the book to the end will have a feel for the current understanding of autism. But I fear some readers will read about their own pet theory and read no further. The first response that comes to my mind after completing this book is that the field of psychiatry owes multiple generations of families an apology for promoting bogus explanations for the causes and possible treatments of autism. For many years they were no better than quacks in their explanations. They blamed the victim by using terms such as “refrigerator moms” to provide a pseudo-scientific Freudian like psychoanalysis explanation of how autism was caused by lack of parental love. The history of autism has a unfortunate tragic thread. Autism was observed and described by two different psychiatrists in the 1940’s, Hans Asperger in Vienna and Leo Kanner in Baltimore. Based on our current understanding of the autism spectrum the description proposed by Asperger was the more accurate of the two. Asperger described it as a continuum of characteristics that included “social awkwardness, precocious abilities, and fascination with rules, laws, and schedules.” He understood many of these cases as causes for celebration for their ability to focus on esoteric issues that in many cases can be considered as genius. According to his understanding, the occurrence of autism was biological in origin and has been present throughout history in a portion of the population. Kanner’s proposed definition of autism, in contrast to Asperger’s observations, was narrow and rare. He defined it as affecting only young children (anyone older was schizophrenic or psychotic), and though it was biological in origin it was activated by cold and withholding parents. With this definition he made the syndrome a source of shame and stigma. The unfortunate accident of history placed Asperger on the wrong side during WWII. His work was thus ignored, and his research papers destroyed in a bombing raid. Kanner who was located in the United States became the recognized expert in the field. Consequently it has taken sixty years to recover from his incorrect description of autism. This change in the definition of autism explains the reason for the apparent “epidemic” of autism in recent years. It is no longer a diagnosis of a sickness to be denied and avoided, but instead is now understood to be a naturally occurring condition that requires special training and assistance to learn to cope with it. There is now a much more optimistic understanding of the future prospects for those with autism. As a parent who raised an autistic daughter through much of the later history Silverman describes, I loved this book. The early history of diagnosis and treatment was fascinating. Each time he delved into the background or quoted a leading expert from the field, I felt like I was saying hello to an old friend. Like many desperate parents, I met these people at conferences, read their books, tried some of their techniques, and took hope from the smallest "improvements" in my child's behavior. The As a parent who raised an autistic daughter through much of the later history Silverman describes, I loved this book. The early history of diagnosis and treatment was fascinating. Each time he delved into the background or quoted a leading expert from the field, I felt like I was saying hello to an old friend. Like many desperate parents, I met these people at conferences, read their books, tried some of their techniques, and took hope from the smallest "improvements" in my child's behavior. The earliest history of abuse, neglect, and institutionalization of autistics broke my heart. I was aware, but Silverman brought it home with his graphic descriptions and in depth anecdotes of real people. Having grown up clumsy, socially awkward, and a SF fan, I can only shudder and be grateful my gifts outweighed my deficits in that awful time. My favorite part of the book was the last three chapters where the author delved into the more recent activities of autistic adults as they took (and are still taking) control of the tools available to them to build their own communities and advocate for more services, supports, and tolerance. I came to the conclusion early that my daughter would thrive in a more accepting environment that built on her strengths, rather than focusing on "fixing" her. Autistics all along the spectrum have unique gifts to contribute to society...if we only let them. I highly recommend this book to anyone who has a relative or friend on the spectrum or is interested in the disability rights movement. Frankly, anyone interested in building a more inclusive society would benefit from the insights in this book. Thank you, Mr. Silberman, for taking on the monumental task of documenting the legacy of autism and executing it with thoroughness and sensitivity. I'm looking forward to a world that values neurodiversity. The day I finished reading Steve Silberman’s NeuroTribes, I saw an image on Facebook that made me want to buy copies of the book for everyone I know. I’m sure you’ve seen something similar: this was a picture of a baby, surrounded by text with skyrocketing rates of autism, learning disabilities, and “chronic illnesses”, lamenting the depressing state of America’s “new childhood”. NeuroTribes tells a completely different tale, connecting past to present in an incredibly detailed history of autism The day I finished reading Steve Silberman’s NeuroTribes, I saw an image on Facebook that made me want to buy copies of the book for everyone I know. I’m sure you’ve seen something similar: this was a picture of a baby, surrounded by text with skyrocketing rates of autism, learning disabilities, and “chronic illnesses”, lamenting the depressing state of America’s “new childhood”. 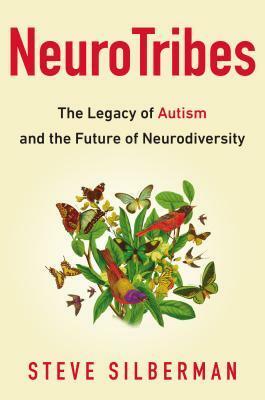 NeuroTribes tells a completely different tale, connecting past to present in an incredibly detailed history of autism research and awareness. Starting with Hans Asperger, an Austrian pediatrician who first recognized autism on a spectrum, the book uncovers connections between early researchers and sheds light on their work. By connecting the story of autism's discovery and early study to its sudden rise, it becomes clear how the widening of diagnostic criteria, increased public awareness, and improvement of diagnostic tools could account for recent growth in numbers. Siberman also digs into the details of Andrew Wakefield's fraudulent linking of vaccines and autism enough to show its place in history, including its impact, but not enough to let it overpower the book. Silberman ends with the concept of neurodiversity, which would balk at that Facebook meme’s depressing outlook on America’s “new childhood”. Instead, the focus of neurodiversity is celebrating neurological differences and recognizing them as variations that should be supported instead of disorders that must be cured. Like the rest of NeuroTribes, Silberman reaches this point through history, tracing back to Hans Asperger’s bold, early claims and walking through the evolution of the developing concept. Though I was familiar with much of the information in NeuroTribes, it had previously come in bits and pieces or from heavily opinionated sources. Silberman manages to pull together an incredible amount of material on a hot-button topic and turn it into an even-handed, compelling narrative. I can’t recommend it enough. Most researchers now believe that autism is not a single unified entity but a cluster of underlying conditions. These conditions produce a distinctive constellation of behaviour and needs that manifest in different ways at various stages of an individual’s development. Adequately addressing these needs requires a lifetime of support from parents, educators, and the community, as Asperger predicted back in 1938. He was equally prescient in insisting that the traits of autism are ‘not at all rare’. As far as I could tell, it isn’t understood what makes a human brain autistic or not, so the condition is known entirely through its symptoms. Although genetic markers have been found, I very much doubt autism could show up in a brain scan. Apparently research has tended to treat it as a disease needing a cure, rather than as a different way of being that requires support. By recounting the history of autism as a concept, Silberman demonstrates how people on the autistic spectrum have repeatedly been caught up in wider social panics, especially in early childhood. This is linked with the wider problem that Western society has with mental illness. In fact, I would be very interested to read a cross-cultural comparison of attitudes to the autistic spectrum, in the vein of Crazy Like Us: The Globalization of the American Psyche. Some nonfiction books are groundbreaking. Some are engaging. This one is both. Using stories of historical figures, modern-day families, medical and psychological specialists, activists and autistic individuals, the book conveys the "history" of autism. What do we know? Is there really an epidemic? What works? Why is searching for a cure perhaps not the best strategy? Above all, though, it keeps the well-being of autistic children and adults at the center and in doing so raises tough questions a Some nonfiction books are groundbreaking. Some are engaging. This one is both. Using stories of historical figures, modern-day families, medical and psychological specialists, activists and autistic individuals, the book conveys the "history" of autism. What do we know? Is there really an epidemic? What works? Why is searching for a cure perhaps not the best strategy? Above all, though, it keeps the well-being of autistic children and adults at the center and in doing so raises tough questions and hard critique of how our society treats those who don't fit social norms. As a parent of a child who is on the spectrum and has many challenges, I try to devour any book or information that comes my way about ASD. Anything new or old that will help me in assisting my child to develop and grow. So, when I stumbled upon NeuroTribes, I was very excited to say the least. I appreciate the fact that this author took the utmost time and care to thoroughly research and put forth a book that is quite informative. It broke my heart and I was sick to my stomach upon reading abou As a parent of a child who is on the spectrum and has many challenges, I try to devour any book or information that comes my way about ASD. Anything new or old that will help me in assisting my child to develop and grow. So, when I stumbled upon NeuroTribes, I was very excited to say the least. I appreciate the fact that this author took the utmost time and care to thoroughly research and put forth a book that is quite informative. It broke my heart and I was sick to my stomach upon reading about the atrocities that occurred during the Holocaust to those with special needs/disabilities, regardless of their ethnicity. I couldn't believe that even German families would offer up their children to the Nazi's without question, all because they were different and not capable of being part of Hitler's vision...ugh, I'm sickened by it. Also, the fact, that the prominent scientist of that time and in that region silently allowed it to happen and were willing participants in the experimentation and extermination i.e. basically signing off on the death warrants by transferring them to another facility, of hundreds of thousands, many of those just children on the spectrum, knowing full well what was to become of their fate. This author dared to mention it and I'm glad he did. All in all, it was good read. However, I did find it too wordy and extremely long, not as smooth and fluid in collating a narrative that was readable and relatable. I guess it's difficult when you are dealing with history and facts to try to find some emotion. But as a parent of a child with Autism, that is what I look for i.e. being able to find that connection. I did with some stories but only up until a point. The one thing I have to say on books about Autism is they rarely touch on those like my son. Those on the moderate to severe range who have many learning difficulties and intellectual disabilities, or have severe speech delay. My son would have been killed during WWII and that's the truth. Instead, the belief that all are Rain Man and are going to change the world through new scientific research and technical innovation, is something we are all forever and desperately trying to shed light on. It is called a spectrum for a reason and to please be aware and mindful of that. I thoroughly enjoyed reading this book, and recommend everyone who is interested in the history of medicine, cognitive science and autism. A couple of years ago I had the chance to hear Silberman in a conference, he was a great speaker and the excerpts he read from this book intrigued me to read it. It turns out that the book was even better than his talk. Neurotribes goes into the depths of autistic spectrum disorder, takes the reader to first to the life of well known historical figures, all the I thoroughly enjoyed reading this book, and recommend everyone who is interested in the history of medicine, cognitive science and autism. Neurotribes goes into the depths of autistic spectrum disorder, takes the reader to first to the life of well known historical figures, all the way back to 1600s ( Lord Cavendish, Lord Kelvin, Dirac and many more) to describe some ASD traits they had. Then tells the story of the first clinicians and how they discovered and defined this condition, moves to the sad story of Asperger and his connection with Nazis, how Eugenics movement defined how disabilities like these treated. After telling many horror stories, just like the fled scientists from Europe in the brink of WWII, he also travels to the US to describe the autism work sprouting there. He goes into a great detail of how the diagnosis and the medical arena evolved around the moving perceptions and new information. Along the historical flow, he also provides glimpses of lives of some well-known people with ASD /Aspergers in the timeline. He brilliantly incorporates the birth of the geek culture into the rising numbers of people in the spectrum and the technology that helps them to live productive and fulfilling lives. The book contains a great detail on how the movie "rainman" was made and how big of a difference it made in society's perception and acceptance of the people with ASD. Silberman is a very articulate writer, his storytelling is flawless. He provides enough details to provide a lot of information but keeps the story moving at an interesting pace at the same time. The book contains very detailed and thorough research on peoples biographies, medical and psychological documents. research and current day events. To date, this is the most thorough and inclusive history of autism ever compiled. It is, by far, the most respectful written by a non-autistic author. While I wouldn't say it centers autistic experience, exactly, it does honor that experience. That, in itself, is a rarity. I love this book. At times, it was painful to read. But Silberman writes in a way that made me feel as though he were somehow supporting me through it. He documents dehumanizing practices without ever reinforcing that dehumaniz To date, this is the most thorough and inclusive history of autism ever compiled. It is, by far, the most respectful written by a non-autistic author. While I wouldn't say it centers autistic experience, exactly, it does honor that experience. That, in itself, is a rarity. I love this book. At times, it was painful to read. But Silberman writes in a way that made me feel as though he were somehow supporting me through it. He documents dehumanizing practices without ever reinforcing that dehumanization or making any apology for it. That's not an easy thing to do. Also not easy to remember the humanity of those who abuse their children (or their patients)(with cattle prods). Steve has more compassion for such people than I have! But I can appreciate his objectivity. Those profiled in this book are presented, first and foremost, as people, not saints, or demons, or narrative props. Mastered by my better self, I suppose I'd do the same. Perhaps this is not so much of a book review as a life review as a result of this book's powerful affect on me. You decide. I went to a school concert recently. As the teenagers leisurely tromped onstage, I idly scanned the crowd. My eyes stopped instinctively at one young man—then a second. Who knows, maybe everyone else in the audience was doing the same thing: something about these boys just caught the eye for some reason. Perhaps it's because it's such a strong part of our human nature to not Perhaps this is not so much of a book review as a life review as a result of this book's powerful affect on me. You decide. I went to a school concert recently. As the teenagers leisurely tromped onstage, I idly scanned the crowd. My eyes stopped instinctively at one young man—then a second. Who knows, maybe everyone else in the audience was doing the same thing: something about these boys just caught the eye for some reason. Perhaps it's because it's such a strong part of our human nature to notice, categorize, and analyze why someone else is different. These young men who caught my attention looked ill at ease in their own skin. They weren’t chatting with their neighbors like most of the other kids. Without knowing anything of importance about them I could tell they were socially awkward. Geeks. Nerds. I could even armchair psychoanalyze these kids as being on the autism spectrum. How could I tell? How can any of us sense, even from a distance, that someone is just “not quite right”—in other words, not like us? I’ve seen this same analyzing stare from strangers for many years as they watch my kid, who is also on the autism spectrum. I know it well. In a way, it bothers me—“Just let him be who he is without your personal judgments on what kind of a person he is or what kind of a parent I must be.” And yet I find myself at times, like at the school concert, doing the same thing. Are we instinctively programmed to value human symmetry? Are our personal worlds not right until we homogenize everyone around us? It seems true. And yet there’s something so “ugly American” about the thought. Many of us would probably reject the idea on its surface—but then go right on staring. Before I could write a review of NeuroTribes by Steve Silberman, I’ve had to digest it for the last month. I’ve had to reconsider everything I’ve thought about autism and do some soul-searching as I’ve examined our family history “on the spectrum.” This is a long book, a comprehensive history of autism and the development of the field of psychology in the 20th century, and although I think it's fascinating reading, I don't think it’s one that a casual reader would want to read in its entirety. The author makes the compelling case that we are not suffering from a recent autism epidemic but rather that the increase in numbers is a result of the diagnostic criteria for autism being broadened to give children legal claim on special services. It makes a lot of sense to me, especially since my kid is one who was able to receive some special services at school once we had that doctor's note with a diagnosis. Regardless of the "numbers," after reading NeuroTribes, I’m viewing autism in a whole new light, as a wide spectrum of traits as unique as individuals instead of a disorder that needs to be cured. Looking back, I regret the years of wasted effort focusing on fixing my child’s weaknesses instead of building him up through his strengths. It seems we are in a vicious circle with these kids that aren't quite like us: we pathologize their personality--we define it as autism and then try to cure it. So here's the thing. Autism is primarily related to difficulty in social interactions, so what if this is not a disease but just a different kind of communication style that we neurotypicals don’t get? This video mentioned in the book, "In My Language," created by an autistic woman to explain her language and communication, was startlingly revelatory for me. It completely turns the conversation about autism on its head as we consider that these individuals are different but not less than us. I truly think it is worth everyone's time to see a new perspective by watching the short video. I know I've been jumping around a bit, but here’s a scenario that may help personalize what I'm saying. Imagine that you are hosting a guest from another country. Perhaps this is a remote area where they aren’t connected with the outside world and haven’t been exposed to various alternative social customs. What would you do if the guest acted or communicated in ways that seemed unusual or weren’t quite socially appropriate for your culture? Teach him how to do it your way? Respect his ways of communicating that might be different from yours but still have value? Scorn and punish him for acting according to his native culture? Try to fix him in all the ways he's “wrong”? It’s helped me reframe autism by thinking of it this way. Perhaps we spend so much time trying to fix people or cure autism instead of helping them live their best lives within their circumstances. It sounds logical at first to try to find a cure--but anymore, I don't think that's asking the right questions. Instead of throwing money at research, perhaps money would be better spent in financial aid to parents and individuals who need therapies for developing life skills that will help them survive in what must be a frightening and alien world of neurotypicals. Going forward I want to be more appreciative of the way that autistic individuals work so hard to do what comes naturally to me. Instead of being the objects of pity or just The Stare, they should be the receipients of our admiration for being strong and smart and brave. As I—and I hope all of us—change our mentality, the ones who will truly benefit are ourselves as we become the best in humanity to encompass those we can’t understand. Neurotribes opens with a question – why is autism suddenly so visible? From popular culture to the children of the author’s contacts in Silicon Valley, he keeps hearing about autism. He sets out to discover why. His quest takes in the history of our understanding of autism, the reasons for the increase in the diagnosis and the changing experiences and treatment of autistic people. Neurotribes is written with the pace of a thriller, and vividly brings to life academic rivalries, tabloid panics and Neurotribes opens with a question – why is autism suddenly so visible? From popular culture to the children of the author’s contacts in Silicon Valley, he keeps hearing about autism. He sets out to discover why. Neurotribes is written with the pace of a thriller, and vividly brings to life academic rivalries, tabloid panics and science fiction fandom. Interspersed are the stories of the people the author has encountered along the way – autistic people, their families and carers, clinicians and writers, and even movie stars. Parts of the book are very dark, including the accounts of institutionalisation of people dismissed as ‘feeble-minded’ and the horrors of Nazism. It is a timely reminder that Hitler was not an aberration but a man who exploited ideas which were widely articulated in Europe and the US at the time. A running theme through the book is the tension between those who think that autistic people need to be ‘cured’ and those who think that society benefits from the strengths of autistic people and should accommodate their particular needs. The book ends on a positive note as it discusses the self-advocacy movement and profiles autistic people who have found their own ways to live fulfilling lives. I found Neurotribes a fascinating and moving read. I received a copy of this book from the publisher via Netgalley. This is extremely good nonfiction. Although other reviewers have noted that it is a very long book, packed full of details, I found it to be extremely engaging, with only a few very short dull parts (it is hard to make changes to DSM criteria riveting, but actually Silberman did better than you could ever imagine). Silberman's writing voice is upbeat and entertaining, and a dense topic is made readable with lots of wonderful and colorful personal details and anecdotes. I don't know if this would This is extremely good nonfiction. Although other reviewers have noted that it is a very long book, packed full of details, I found it to be extremely engaging, with only a few very short dull parts (it is hard to make changes to DSM criteria riveting, but actually Silberman did better than you could ever imagine). Silberman's writing voice is upbeat and entertaining, and a dense topic is made readable with lots of wonderful and colorful personal details and anecdotes. I don't know if this would be such a page-turner to someone with less personal interest in autism spectrum issues, but I found it absolutely compelling. In addition to being extremely well written, Silberman is consistently pro-autistic and his message of neurodiversity is powerful and very needed. It would be wrong to call it "ground breaking" - as some have - because he is just digesting and conveying ideas that have been out there for decades, but it is also impossible to underestimate the importance of getting those ideas out to a bigger audience. For that, it comes back to how wonderfully well written this book is, and Silberman deserves real credit. The last two chapters of the book, which are about the movement for neurodiversity, are exemplary. The rest of the book is about the history of the psychologists who "discovered" autism in the early twentieth century, and the methods that parents and doctors thought would cure autistic people -- electroshock, corporal punishment, severe dietary restrictions (which is still trendy among "leaky gut" proponents). It was horrifying. Indeed, let others praise not-so ancient times, I am glad I was bor The last two chapters of the book, which are about the movement for neurodiversity, are exemplary. The rest of the book is about the history of the psychologists who "discovered" autism in the early twentieth century, and the methods that parents and doctors thought would cure autistic people -- electroshock, corporal punishment, severe dietary restrictions (which is still trendy among "leaky gut" proponents). It was horrifying. Indeed, let others praise not-so ancient times, I am glad I was born in these. My one criticism is that the narrative isn't linear. In the span of a few pages, Silberman discussed events in one decade, backtracked to a previous decade, and returned to the initial decade. Libro que habla sobre el autismo. El autismo tiene un amplio espectro, desde los que no tienen relación alguna con los demás hasta los que llaman "genios idiotas" (de idiotas no tienen nada; el problema es que los "normales" no sabemos cómo debemos tratarlos). El autor empieza tratando los casos de Cavendish y Dirac (ambos reputados científcos de los que seguramente tenían síndrome de Asperger) y va tratando con diferentes historias de personas autistas, los problemas para relacionarse con los de Libro que habla sobre el autismo. El autismo tiene un amplio espectro, desde los que no tienen relación alguna con los demás hasta los que llaman "genios idiotas" (de idiotas no tienen nada; el problema es que los "normales" no sabemos cómo debemos tratarlos). El autor empieza tratando los casos de Cavendish y Dirac (ambos reputados científcos de los que seguramente tenían síndrome de Asperger) y va tratando con diferentes historias de personas autistas, los problemas para relacionarse con los demás, los problemas de los padres para que sus hijos sean aceptados, la casualidad de que un neurotípico (palabra designada para definir la mayoría de la población o si se quiere la "normal") se conociera con un autista y de ahí surgiera la película Rainman, los tratos que han tenido estas personas a lo largo de la historia, etc. Como decía, no todos los autistas son iguales. Cuando se ve a aquellos chavales a los que les cuesta entrar en el grupo, son excesivamente tímidos o apenas hablan, tammpoco es que sean o dejen de ser autistas. Ha habido diferentes reformulaciones de qué es desde el DSM-3 hasta el DSM-5. De hecho, todos tenemos algún tipo de tendencia. Sí que es verdad que muchos de ellos tienen un oque de genialidad no a pesar de tener este síndrome, sino gracias a este síndrome. Es un libro, largo no, lo siguiente: casi 600 páginas, que hace pensar a quien sea mínimamente empático y tenga aprecio por la raza humana. Recomendado a quien interese el tema o tenga algún familiar cuyo comportamiento social sea raro y le digan, a veces, que parece o es autista. A bit of a bummer at times, this book has really helped give me some real reasons to view autism in a more positive light. Probably a bit redudant for people who already have any level of understanding about the history of this diagnosis, I really appreciated all the information in this book - even if it did feel a bit long at times. In fact, I would really have loved to rate this book even more highly but for two major issue. This book lacks any scientific data (see end notes for update) and it A bit of a bummer at times, this book has really helped give me some real reasons to view autism in a more positive light. Probably a bit redudant for people who already have any level of understanding about the history of this diagnosis, I really appreciated all the information in this book - even if it did feel a bit long at times. In fact, I would really have loved to rate this book even more highly but for two major issue. This book lacks any scientific data (see end notes for update) and it is lacking in everything but the most rudimentary of structures (still an issue). The book dragged on extra long in the middle mostly because I had little to no idea what exactly the author was trying to get at. OK, I was able ot parse out a lot of the positive message he finally stated at the very end of the book, but it did not come particularly easy and it ended up making the book feel rather unbalanced. I feel like he did cover other people's opinions that disagreed with him (although this was probably still in a rather biased way), but it was all sort of strung along in long (metaphorical) run on sentence, rather then presented in a coherent way to help people reach their own conclusions. And despite the fact that most of my recreational nonfiction reading leans heavily in the direction of anecdotal I really felt like at least a few studies or charts should have been referenced at some point in the book. Surely they are out there. Even if the author then chose to speculate about the experiences that have likely fallen outside the purview s of official autism stats, it would have been nice if this book didn't all appear to be based purely on the author's own personal experiences. I look forward to diving into some more books that cover this subject, especially any I can find written by autistics themselves. I do think this book has helped me understand better then I did, but it could have been so much better. This is definitely more a book about the history of autism than it is a book about autism itself, so if you're looking for the nitty gritty of what it means to be on the spectrum or how the brain works, it's probably better to look elsewhere. NeuroTribes seems to have mainly been written in response to all the hubbub in recent years by the contingent claiming that there is an autism epidemic and that it is being caused by vaccinations. Silberman looks back at how long autism has existed (probabl This is definitely more a book about the history of autism than it is a book about autism itself, so if you're looking for the nitty gritty of what it means to be on the spectrum or how the brain works, it's probably better to look elsewhere. NeuroTribes seems to have mainly been written in response to all the hubbub in recent years by the contingent claiming that there is an autism epidemic and that it is being caused by vaccinations. Silberman looks back at how long autism has existed (probably pretty much as long as people have existed), including looking back at a number of historical figures that were most likely autistic, like Henry Cavendish and Paul Dirac. Then he goes into all the details of how it's been diagnosed over the course of the last couple hundred years and why the fact that more and more people are being diagnosed with it now than ever before doesn't mean that more people are actually autistic than ever before; it's just that recent corrections in diagnostic guidelines have made it easier for people to receive "on the spectrum" diagnoses, and therefore more people are now able to gain access to the support and services they need. Silberman goes through all of this in a very balanced way, and without demonizing anyone, recognizing that the data can seem misleading, and that parents on both sides just want what's best for their kids. But I love that he does bend the focus more towards working on gaining support and services for people with autism and their families than working towards finding a cure for autism. His opinion, and I think what a lot of his research shows, is that people on the autism spectrum have made and continue to make a lot of really important contributions, especially in the fields of science and technology, but in lots of other areas as well, not in spite of the ways their minds work, but because of it, and that we're all just working on different operating systems. I like that description a lot. Steve Silberman is an award-winning science writer whose articles have appeared in Wired, the New Yorker, the MIT Technology Review, Nature, Salon, Shambhala Sun, and many other publications. He is the author of NeuroTribes: The Legacy of Autism and the Future of Neurodiversity (Avery 2015), which Oliver Sacks called a “sweeping and penetrating history…presented with a rare sympathy and sensitivit Steve Silberman is an award-winning science writer whose articles have appeared in Wired, the New Yorker, the MIT Technology Review, Nature, Salon, Shambhala Sun, and many other publications. He is the author of NeuroTribes: The Legacy of Autism and the Future of Neurodiversity (Avery 2015), which Oliver Sacks called a “sweeping and penetrating history…presented with a rare sympathy and sensitivity.” His TED talk, “The Forgotten History of Autism,” has been viewed more than 800,000 times and translated into 13 languages. His article “The Placebo Problem” won the 2010 Science Journalism Award for Magazine Writing from the American Association for the Advancement of Science and the Kavli Foundation, and was featured on The Colbert Report. His writing on science, culture, and literature has been collected in a number of major anthologies including The Best American Science Writing of the Year and The Best Business Stories of the Year. Silberman’s Twitter account @stevesilberman made Time magazine’s list of the best Twitter feeds for the year 2011.